As some of you may know I work as a relief teacher which means when teachers are sick I get called in to work. Unfortunately that does mean my phone rings at 6 o'clock in the morning with a job. But the plus side is I don't have to plan. Such a cute little design. It will make a wonderful gift for someone. Still haven't allocated gifts to anyone yet. Now to pick my next school project. Cute finish! And it's so nice to have a gift already made for someone! Super cute Caitlin!! I was a Teacher on Call too until this year. I got a contract and boy am I busy...planning....!! Don't miss those 5:30am calls though! 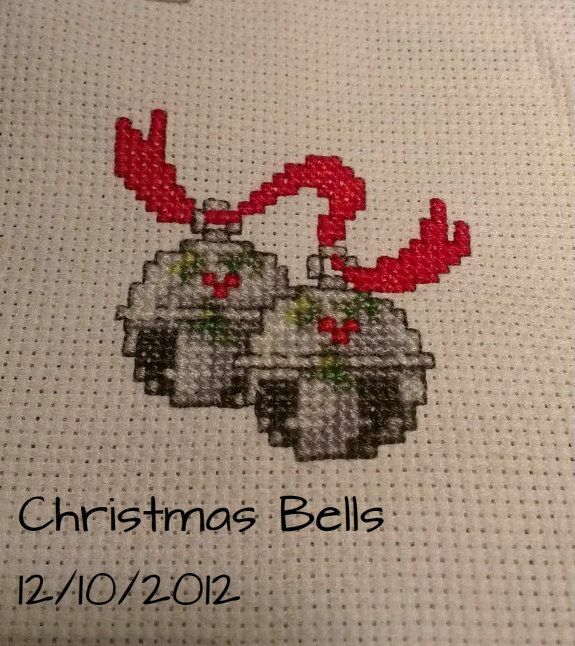 Those are wonderful bells! I love all the shades of silver. It will be a great gift! That is such a sweet design - always nice to have a small or two on hand, isn't it? Those bells are very cute! OH, this is a cute design.